God is our Father in Heaven, and so loved the world that He gave his only begotten Son to atone for the sins of the world; and by believing in Jesus Christ, the Son of God, we can be forgiven of our sins, and be redeemed from the consequences of sin — healed and made whole. cross your mind. Name each one as it occurs to you, and then deny its reality. God did not create that disaster [specify], and so it is not real." To explore New Age Ideas that are contrary to Christianity, the words of prominent new-age pioneers will be quoted: Helen Schucman, author (scribe) of "A Course In Miracles," and Ernest Holmes, founder of a religion called "Science of Mind." I will also cite the words of Marianne Williamson, an acclaimed teacher of "A Course In Miracles," and I will quote the new-age assertions of Louise Hay, a best-selling author and minister for the "Science of Mind" religion. 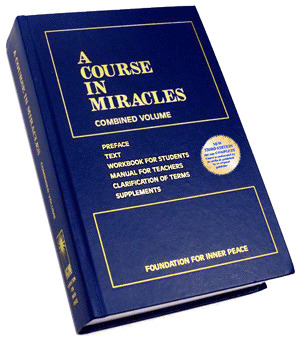 "A Course In Miracles" (hereafter abbreviated as ACIM) is a combined volume of writings that consists of 669 pages of Main Text, a 488-page Workbook For Students, a 92-page Manual For Teachers, and finally 58 more pages of introductory and supplementary writings — that's an astonishing 1,307 pages of well-written prose that took 7 years to compose. "This is A Course in Miracles. It is a required course. which is your natural inheritance." "The opposite of love is fear, but what is all-encompassing can have no opposite." "There is no time, no place, no state where God is absent." 1) There is no Lucifer, no Satan, no force of Evil — contrary to what the Apostle Paul preached (Eph. 6:12) and contrary to what is generally written in the Old Testament (Job 1:6-8) and the New Testament (Rev. 12:9). 2) God is the Universe, and the Universe is God. 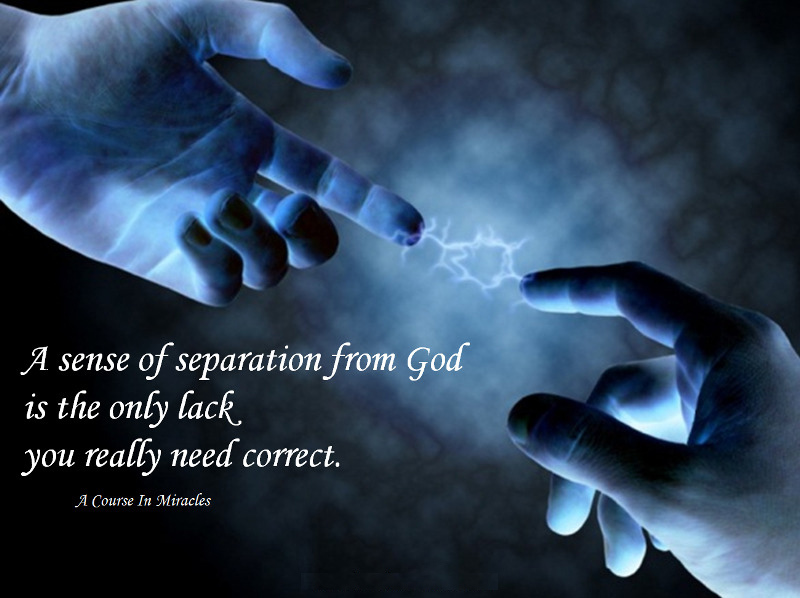 ACIM asserts a philosophy of pantheism: that God and the Universe are the same — a teaching that contradicts biblical descriptions of a personal God who is "your Father which is in Heaven" (Matt. 5:16), who "created man in his own image" (Gen. 1:26-27), a God who spoke with Moses "face to face, as a man speaks unto his friend" (Exodus 33:11). The ACIM Volume that I perused was printed on onion-skin paper, similar to the thin paper used for publishing more expensive Bibles. Also, every paragraph and sentence of ACIM is numbered, in the same way Bible chapters and verses are numbered. Clearly ACIM was intended to be referred to, and followed. From its very pages, an aggressive goal is openly announced: "to bring about thought reversal at which the Course aims" (ACIM, page ix). 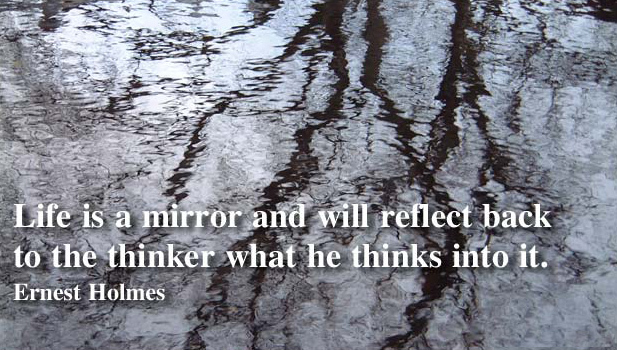 But what kind of thought does ACIM intend to reverse? The answer comes as one simply reads ACIM and observes how it uses Bible terms like, atonement, salvation, resurrection, and Christ — but brings new, non-biblical definitions to each word. As you read these new meanings that re-define biblical terms, it becomes crystal clear that ACIM was written to "bring about thought reversal" of Bible teachings. It is both fascinating and frightening that ACIM was not actually authored by Helen Schucman; instead, Helen herself says she was the "scribe," and that the Course came to her through "a kind of rapid, inner dictation" from "the Voice" (ACIM, p. viii). It's also eerie that Helen Schucman describes herself as a psychologist who is "atheistic in belief" (ACIM, p vii). Thus "the Voice" chose an atheist to record 1,307 pages of prose intended to rebut and replace the Bible. Now ask yourself: What kind of god would ever choose an atheist to be a mouthpiece? "[The Course] emphasizes that it is but one version of the universal curriculum. There are many others, this one differing from them only in form. They all lead to God in the end. " "Strait is the gate, and narrow the way, which leads unto life." no man comes unto the Father, but by me." In addition to ACIM's appeal, based upon positivity and love, another reason why some Christians are drawn to New Age Ideas, is because prominent new-age teachers use biblical terms like Atonement, Salvation, Resurrection, and Christ in their writings — again, these Bible terms have very different definitions. that sin in real. ... God's Will for you is perfect happiness because there is no sin, and suffering is causeless. Joy is just, and pain is but the sign you have misunderstood yourself. Fear not the Will of God. you lay upon yourself with the insane belief that sin is real. This is the truth. because there is no sin." 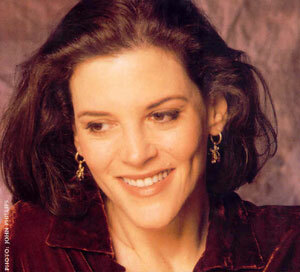 Marianne Williamson reinforces the teaching that "there is no sin." 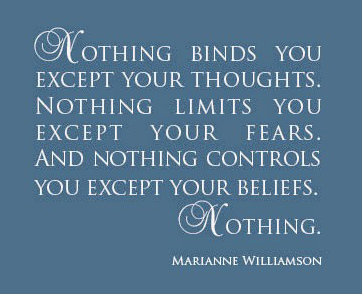 Note Williamson's words in the above picture-quote: A person is limited only by thoughts, fears, and beliefs — which are all controlled by one's mind. So Marianne is saying that "sin" is not limiting, for sin is an illusion created by "feverish imaginations." Again, the aim of ACIM is to bring about "thought reversal" from a biblical view, to a new-age outlook. While the new-age version of Atonement is about "cancelling out errors" in your mind, in contrast, the Bible teaches that Atonement is accomplished exclusively through Christ and our Faith in this sole Savior who suffered for our sins. The Atonement is something only the Son of God could do. But in New Age Philosophy, Jesus is reduced to being just a wise teacher. Instead of Jesus being the Christ, the Savior of the world, new-agers see Jesus as a mere mortal who became "self-actualized" through his own corrected thinking; in the same way all human beings can become self-actualized through their corrected thinking. From a new-age outlook, this mortal world needs No Savior because there is No Sin from which we must be saved. Now note how the following ACIM passage cleverly couples "attack" with "sin," then labels them both "one illusion." for they have a goal without meaning. And they share the lack of meaning which their purpose has. Who am I to be brilliant, gorgeous, talented, fabulous? Actually, who are you not to be? You are a child of God. You're playing small does not serve the world. other people won't feel insecure around you." While I can praise and support certain ideas that Marianne has expressed, I cannot support the larger paradigm that she is preaching; and in fact, I am rejecting and warning against her New Age Paradigm for reasons that come clear as we continue our inquiry. Bill Elliott: "Who was Jesus ?" Marianne Williamson: "Jesus was a human being who while on earth completely self-actualized and fulfilled in all ways the potential glory that lies within us all. ... He demonstrated our destiny. He displayed for all to see the destination of this journey that we are on. ... He was sent down by God — as we all are. We are all extensions of the mind of God." Bill Elliott: "Was Jesus the only Son of God?" Marianne Williamson: "Hogwash! First, I believe we are all Sons of God, and it is our destiny to be as Jesus. ... Second, there is only one soul. To say that there is 'only one begotten son' doesn't mean that someone else was it, and we're not. It means we're all it. There's only one of us here." Bill Elliot could have worded the second question more directly. He might have asked, "Was Jesus the only begotten Son of God in the flesh, where his mortal mother was Mary and his immortal Father was God, not Joseph?" Still, Marianne could have taken the opportunity to clarify and affirm what the Bible teaches, but she did not. Instead, Marianne expressed a belief typical of New Age Philosophy: "There's only one of us here ... We are all extensions of the mind of God." In her book, "Return to Love: Reflections on the Principles of A Course In Miracles," Marianne expands on the idea that "there is only one soul. ... There's only one of us here." define us according to our position on the rim, we seem separate and distinct from one another. That "There's only one of us here" is a conclusion that contradicts the Bible. The following prophecy by Ezekiel affirms that every human being is an individual, and "resurrection" means that sinews, skin, and flesh will rejoin the bones of each soul, and every particular person will be raised from the grave, to live again! and set me down in a valley full of dry bones. And He said unto me, can these bones live? up flesh upon you, and cover you with skin, and put breath in you, and ye shall live. then shall ye know that I the LORD have spoken it, and performed it." If reality is as Marianne Williamson describes it — that all humanity are literally one with the Mind of God — then there would be no need for Ezekiel to prophesy of sinews, skin, and flesh being rejoined to dry bones! If Marianne's New Age Paradigm were true, then Ezekiel would not have written the words he wrote, as the "hand of the Lord was upon" him and he was "carried out in the spirit ... down in a valley full of dry bones." but if Baal, then follow him." People who think that Jesus was a mere mortal, are ignoring His astonishing statements, and denying His many miracles, like raising Lazarus back to life (John 11:21-44), after he had been dead four days. For those souls who see Jesus as just a great teacher," C.S. Lewis explains why this postion is logically indefensible. or you can fall at his feet and call him Lord and God. about his being just a great human teacher." God was manifest. We also believe that Christ comes alike to each and all. There is no one particular man predestined to become the Christ. We must understand that Christ is not a person, but a Principle." should come; and even now already is it in the world." NO SALVATION OUTSIDE OF COUNSCIOUS CO-OPERATION WITH THE INFINITE." Earlier, I spoke of "The Voice" that dictated the revelations of ACIM to Helen Schucman. It's clear that some "mystics" who perceive "truth" without mental process, are receiving revelation indeed, but not from the God who created Heaven and Earth. Why? cast out into the earth, and his angels were cast out with him." soul shall not be lost, and surely I will do it; wherefore give me thine honor. devil, the father of all lies, to deceive and to blind men." Louise Hay was a student of Earnest Holmes, and eventually became one of the "ministers" for the Religion he founded, "Science of Mind" also called "Religious Science." Louise is very popular among people committed to being positive; programming your mind with positive affirmations is a technique central to her self-fulfillment paradigm. 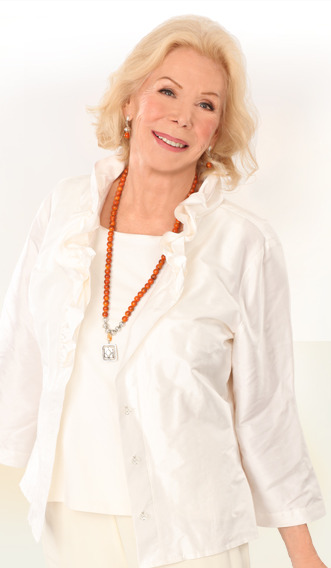 Louise Hay embraces the new-age assumption that the "Universe" and God are the same. So Louise is saying that God will totally support you and I in every thought we choose to think and believe. Really? Regardless of whether the thought is good, bad, or ugly? In contrast the God of the Bible will not support "Every Thought We Choose to Think and Believe" — instead, when we choose ideas and actions contrary to His wisdom and way, we will experience consequences that provide a clear clue that we have not be True to His Truth. but they that deal truly are his delight." ~ King Solomon, 1015 B.C. This belief reflects Louise Hay's assumption that "our experiences are just outer effects of inner thoughts." The problem with this idea is that other people are reduced to being mere "inner thoughts" in your head. 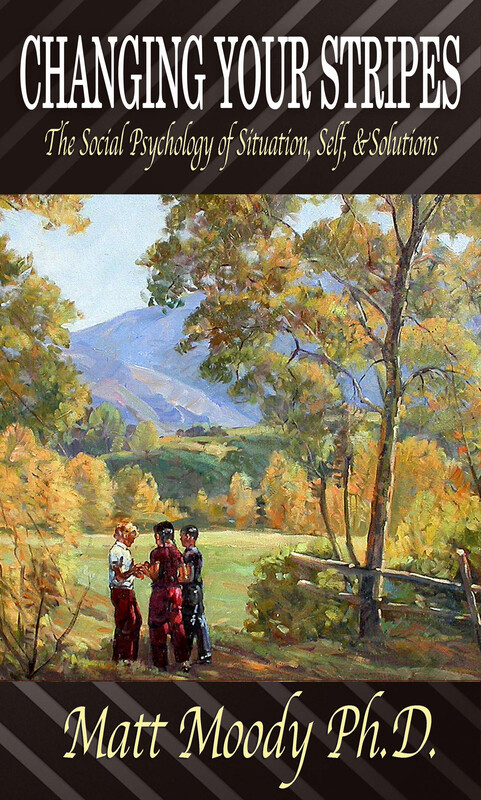 as I have loved you, that ye also love one another." In response to Louise Hay's picture-quote above, let's imagine that you were a parent of a child who was making the self-destructive choice to take illegal drugs, this would be a problem, right? 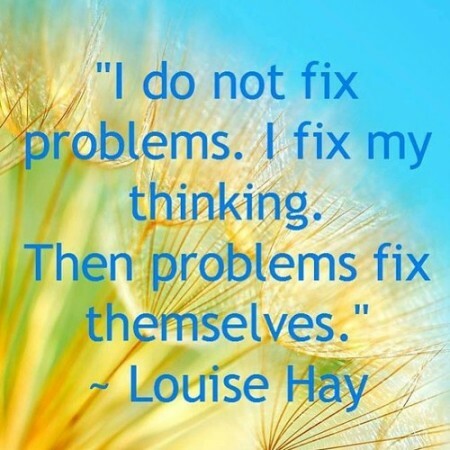 Now would Louise Hay really say, "You need to fix your thinking about your child, and 'the problem' will fix itself?" Instead of seeing problems in terms of fixing one's thinking, a process of ever-making Head Corrections, a parent might sense the situation at the level of Heart, and with genuine empathy, see a son or daughter as a real person; one who needs love and support, and who may need some straight-talk about the harmful consequences tied to taking drugs. your problems, to solve your problems." I call this conundrum, "Einstein's Mind Bind," and explain it here: "You Can't Train Your Brain Using the Same Brain that Needs Training." Now in terms of Bible Doctrine, Louise Hay's assumption that "You are in control of your mind" is not totally true. In this human world we continually "wrestle ... against the rulers of the darkness of this world" (Eph. 6:12); which means that we cannot control every thought that comes to Mind. This is so, because God has cast out Satan from His presence and has allowed Lucifer, for a wise purpose, to tempt and try all humanity. ~ John the Revelator, 90 A.D.
Because Satan and his influence are very real, again, some of the thoughts that we think are not created by us at all; instead, certain thoughts are initiated by Satan. For instance, have you ever had a completely bizarre thought enter your mind? Something extremely irrational like "jump off this cliff" or "steer your car into traffic" or "get a gun and and harm others." Such are examples of the kind of destructive thoughts that Satan inspires. And while we cannot always control whether these thoughts will enter our minds, we do have God's promise that He will "make a way of escape" (1 Cor. 10:13) from every temptation. At no single instant does the body exist at all." And why is it important for Satan and New-Agers to conclude that the body is an illusion? children of men, and stir them up to anger against that which is good. I am no devil, for there is none." The New Age Movement reduces Jesus the Christ to just a great moral teacher, and in doing so it attacks the very heart of Christianity. Further, because all roads supposedly lead to Heaven, and Salvation is allegedly extended to all — regardless of choices made in mortality — this means New Age Philosophy advocates Moral Relativism. Therefore, people are free to pursue all manner of hedonistic indulgence, because "there is no sin" and all apparent consequences of sin are an illusion. So whatever you choose to do, Christ is OK with it! Because Jesus is your Buddy and not your Judge — even though the Bible says otherwise (2 Tim. 4:1). In contrast to the new-age "Christ" that is merely a Principle, the "Christ" of the Bible was and is a real Person born of a mortal mother and an immortal Father. The word "Christ" is the Greek translation for the Hebrew word "Messiah" (John 1:41; John 4:25). The Messiah prophesied in the Bible would be a Savior through whom we might receive "forgiveness of sins" (Acts 5:30-31). The title of "Christ" includes being "the Son of God" (John 20:31), and those who believe in the "only begotten Son" (1 John 4:9-10) will have "everlasting life" (John 3:16). Jesus of Nazareth, the Son of God, is not only the very Person through which all humanity is saved from sin, but also the very Power by which all humanity is saved from the grave (John 11:25) — resurrected from mortal death to immortal life. Do I Really Have a Choice NOT to Be Stressed Out?